Are you looking for specialty beds such as adjustable beds? 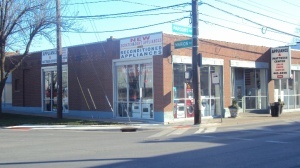 Come over to Appliance and Mattress Center for good deals. Our suppliers include Mantua and Solstice Sleep Products. We have twin and queen size adjustable beds. Some are equipped with remote controls for easy use. If you cannot find what you are looking for please call us and we will help you find what you need. Warranty - 1 year for parts and labor; 2 and 3rd year for parts only; 4- 20 years for non-electric parts. Warranty - 1 year for parts and labor. 2 and 3rd year for parts only. 4- 20 years for non-electric parts.